In SDC the concrete is formed during the delicate period when the concrete changes from a soft to a hard material. In this process a formwork with a particular cross section, significantly smaller than the structures produced, is attached to a 6-axis robotic arm, replacing the hydraulic jacks commonly used in slipforming. 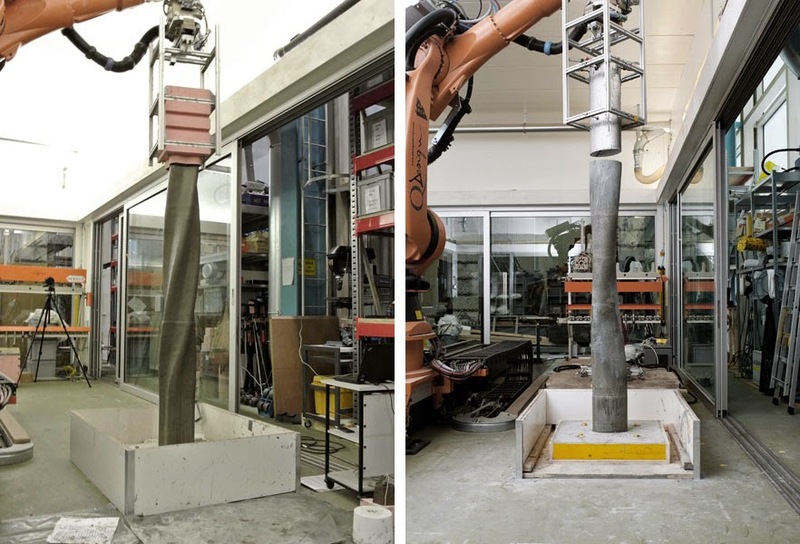 This construction process is informed by the physical properties of the material through a feedback system that measures the setting kinetics of the concrete during the robotic slipforming process. Enhanced robotic control allows the precise manipulation of speed and movement of the formwork in space, ultimately facilitating the formation of complex concrete structures without a custom made formwork.